April 29, 2011 finally arrived and I took the tube to Green Park at about 7am... bringing along a packed lunch in my bag. 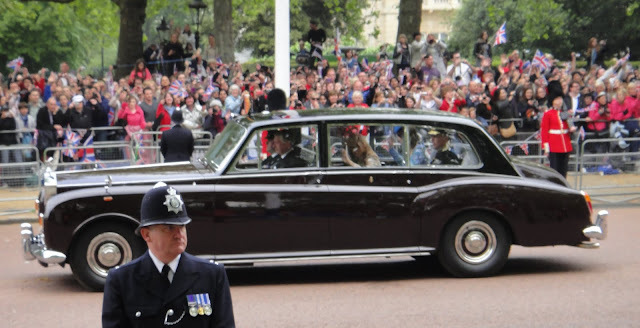 The crowds were already quite large and I positioned myself along the Mall quite close to Buckingham Palace at about 7.30am. I had a pretty ok view, about 4 or 5 rows back, not bad since I didn't have to camp out overnight for it! It was a very long wait and my feet were very tired but eventually things started happening and various bands played along the procession route. Australia's Channel 7 doing a live broadcast - interviewing some Aussies. Apparently my face was visible behind! I do apologise for not having pics of Her Majesty The Queen arriving, nor Kate Middleton, I was filming those arrivals instead. But it was a fabulous atmosphere as both of them passed by, the crowds going absolutely wild... and for the first time we saw glimpses both of The Queens dress and also the brides. There was no video of the ceremony from my position, however there was audio of it coming from several loudspeakers along the route. The absolute highlight was when God Save The Queen was played, and the crowd sung along in very high spirits. It was quite moving. 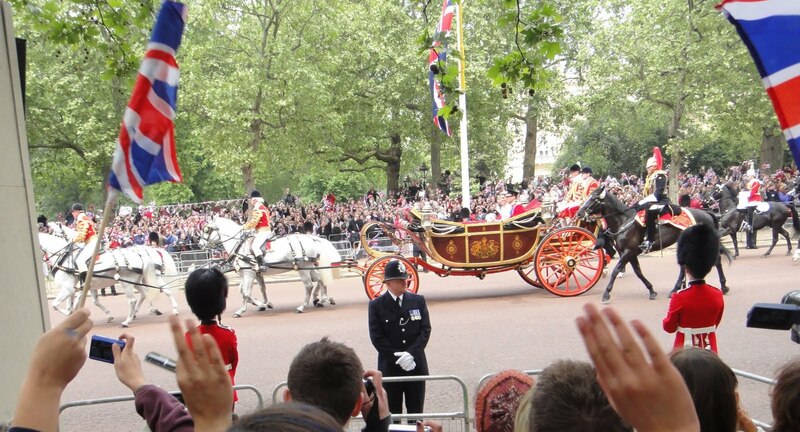 Eventually the ceremony ended and the procession returned to Buckingham Palace. It was worth it though as I got quite a good spot and I got some great photos! 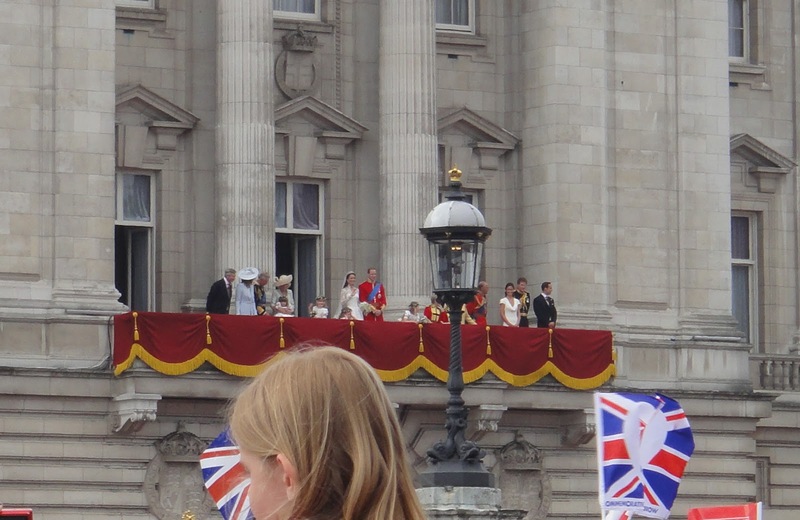 When the newly married couple appeared on the balcony there was an almighty roar and the crowd chanted for them to kiss, which they did TWICE! 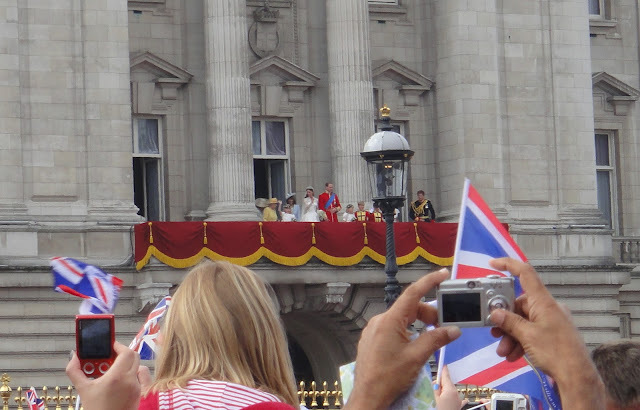 The flyover was a great spectacle and I loved seeing The Queen but it was all over far too soon. Being a part of that crowd in front of the balcony was an experience I will never forget. I love all the tradition and felt like I had done something exactly as it was done a hundred years ago and beyond that. The million or so people lining the streets all seemed to be having a fabulous time. 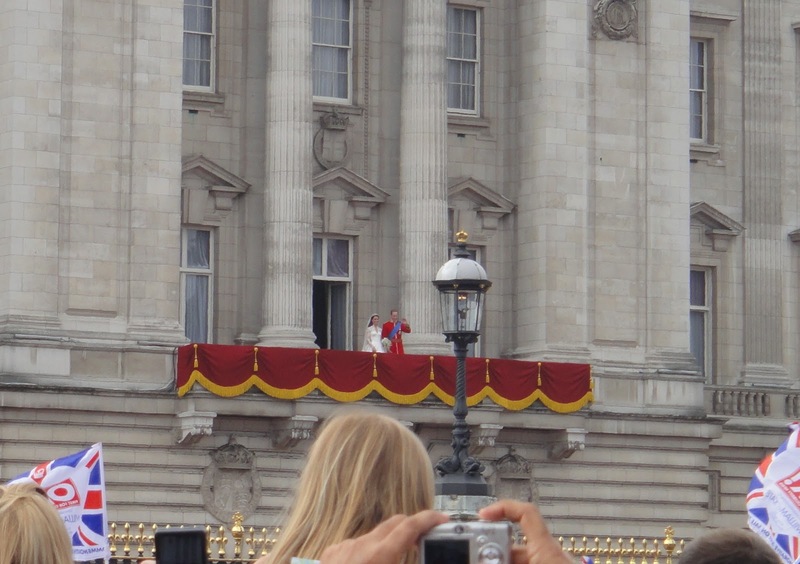 In fact I had such a good time I am going to return for Queen Elizabeth's Diamond Jubilee in June 2012. 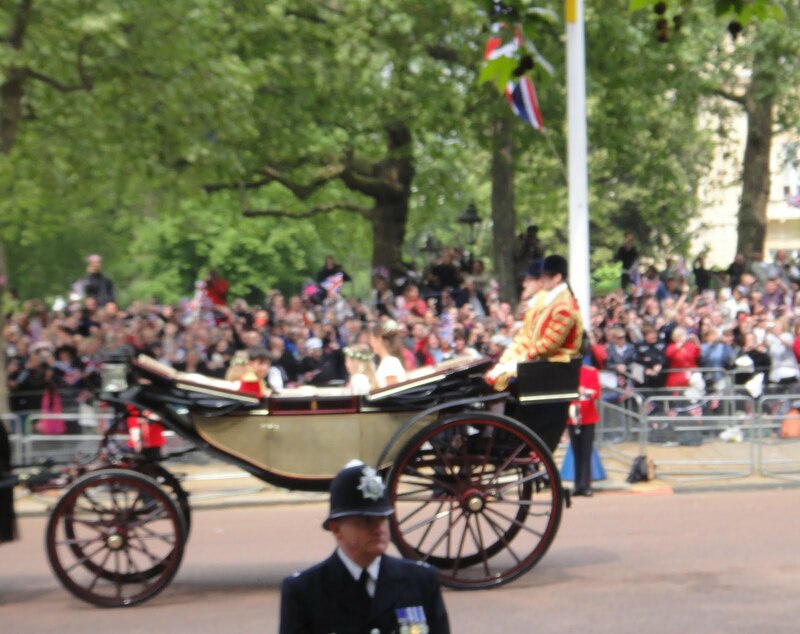 The forthcoming Royal Wedding is the event of the year when Kate Middleton married her Prince on 29 April 2011. There has never been a more important moment in the history of the English monarchy since the last great royal wedding of 1981 when Lady Diana Spencer married Prince Charles.